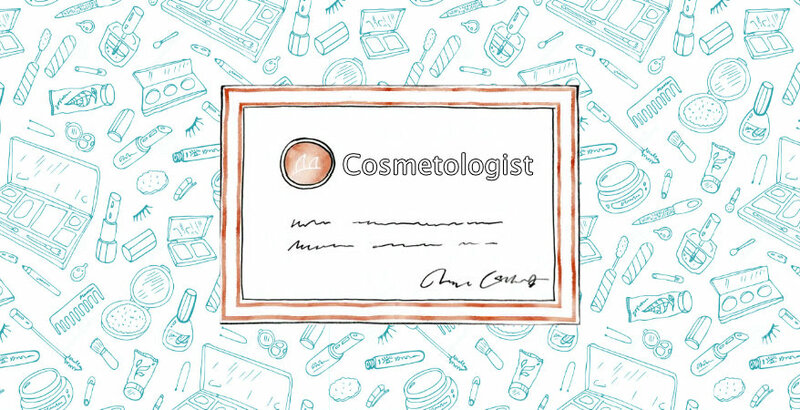 Home » Blog & Events » How Do I Get My Cosmetology License in Florida? Do you enjoy creative and unstructured work? Are you passionate about beauty? Do you like working with others? Cosmetologists dig deep into the glamourous world of beauty! Cosmetologists are beauty experts in hair, skin, nails and everything in between! Deepen your knowledge by learning how to run a business, market your skills and let your artistic side show. You’ll enjoy making others feel great about themselves, and in turn, you’ll make wonderful new friends! The first step to gaining your cosmetology license in Florida is choosing an accredited Florida school of cosmetology. There are many factors to take into consideration when choosing the right beauty school for you. The beauty school must be accredited, this makes a school credible and certifies that you will receive the education you need to pass your state exam. Also, the school’s curriculum should be flexible with plenty of hands-on training. Also consider: does the school offer financial aid? Is the beauty school close to home? Does the beauty school offer job placement services? Contact your local beauty schools for a tour and ask questions to discover which beauty school best for you. The cosmetology career path is very extensive: it is the complete package! Cosmetology students will learn about hair coloring, cutting, styling and treatments. Students will also learn about nail care and nail design, as well as, facial treatments. How Long is the Cosmetology Course? The state of Florida requires that cosmetology students successfully complete at least 1200 hours of education. On average, most cosmetology programs at Florida beauty schools take students 9 to 15 months to complete. Many beauty schools offer flexible schedules with night and weekend classes for students to accommodate work, family and school. It is also important to keep in mind that part time students will take longer to complete the program. How much does the cosmetology course cost? Cosmetology program tuition near major cities tends to be higher than the costs of tuition in smaller, more rural areas. In the Miami area, the tuition for a cosmetology program ranges from $14,000 to $20,000. Cosmetology courses are considered a low cost option, compared to university or college studies. In an effort to make cosmetology easily accessible, many accredited beauty schools offer financial aid to students who qualify and affordable payment plans for cosmetology students. Accredited beauty schools will offer hands-on training for cosmetology students. Under the direct supervision of instructors, cosmetology students will be able to apply their skills to the clients. Teachers will work together with students to refine their skills and talents. Cosmetology students can also practice their talents and abilities on friends and family. The state of Florida requires that all cosmetologist have a Florida state license. After completing the minimum of 1200 hours, along with any final exams from the beauty school, cosmetology students can apply for the Florida state board examination. Students will then receive a written notification to schedule a date and time for the written cosmetology examination. The cosmetology license will be issued, once the student positively passes both portions of the cosmetology exam. Students who fail any portion of the state exam, cannot practice cosmetology until they have passed both portions and have a license. Jobs are on the rise! According to the U.S. Bureau of Labor Statistics, the employment for cosmetologists is growing faster than average for all occupations. Also, BLS reported 656, 400 cosmetologists working in 2014. The BLS predicts 10% job growth with approximately 64, 400 new positions in 2014 to2024. Cosmetologists can work in a wide variety of places and occupy a wide range of positions, from hairdressers, estheticians, makeup artists, master stylists, nail technicians, to salon owners, among many more. Skilled cosmetologists are in high demand in hotels, spas, hair salons, and in many industries, such as the motion picture and video industry. Cosmetology students can also network with fellow beauty enthusiasts in beauty events, seminars and workshops. Start today by contacting a local accredited cosmetology school! In the Miami area, La Belle Beauty has been in the beauty education for over 40 years. As a long standing local business, La Belle Beauty has three modern locations in South Miami, Hialeah and Flagler area. Also, the school offers interest-free payment plans and financial aid for those who qualify in certain programs. A credit to its long standing successful, La Belle Beauty has an 88% graduation rate for cosmetology students.